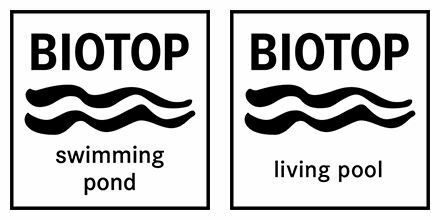 Bringing a little slice of nature to the garden and making pure water enjoyment possible – almost like a mountain lake: This was the inspiration behind Biotop founder Peter Petrich. Nearly three decades ago he was struck by the idea of creating a backyard Natural Pool, developing and fine-tuning his design until it was market-ready. The Living Pool, a biological swimming pool, was created around ten years ago. Inconspicuous at first glance and well-engineered, high-tech equipment helps ensure natural swimming pleasure. Every Natural Pool is custom-designed and built to harmonize with the available space. The result is healthy and chlorine-free swimming pleasure for the whole family. 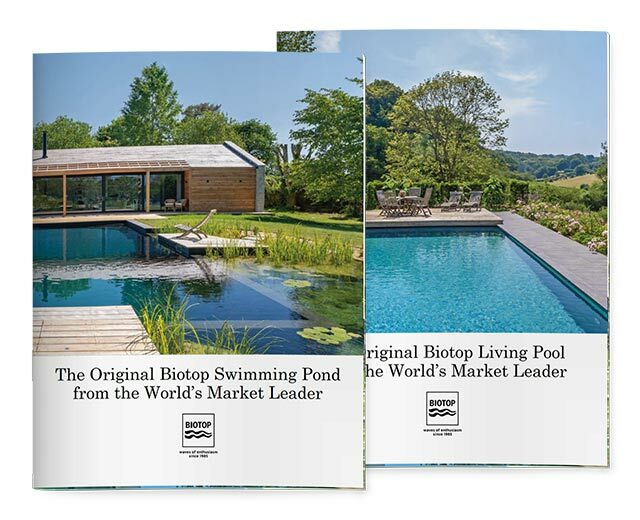 The unique idea behind the Biotop Natural Pool makes this possible: Plants and micro-organisms within an additional regeneration area directly adjacent to the swimming area act as environmentally-friendly filters, thereby ensuring that the water always stays clear. The visual purity of a classic pool in perfect harmony with modern architecture. While plants and micro-organisms acts as filters for Natural Pools, Living Pools are equipped with a biological filter and a special phosphorous filter, whose granulate binds the phosphorous algae need to thrive. Deprived of their key nutrient, algae growth is nipped in the bud. Any remaining algae, which is always found in natural water, is removed by the pool robot. Renovation made quick and easy is our slogan for rejuvenating existing Natural Pools. As a first step, professionals assess the situation at hand with a personal on-site consultation. Site conditions and available space are the two determining factors in deciding on the best method for retrofitting the pool with modern equipment to reduce maintenance work and make the pool more user-friendly. Good news for all those who no longer want to swim in their existing chlorine pool and are looking to switch to a pure and natural poolscape in their backyard: There is no need to tear it all down and build anew. Thanks to the Living Pool Converter System, an existing conventional pool can be converted quickly and easily into a biologically operated Living Pool. The water filter system already in place can be repurposed, as the only component to be replaced by the Converter-System is the chlorination process.